No visitors will leave Malaysia without tasting our very own Nasi Lemak. Hot cooked rice with pandan aroma steamed with coconut cream goes heavenly well with sizzling spicy sauce or “sambal”. Generous sprinklings of roasted peanuts and salty dried anchovies with a hard boiled egg perfect this dish. A platter of everything good all wrapped up in banana leaves to further enhance its unique taste. 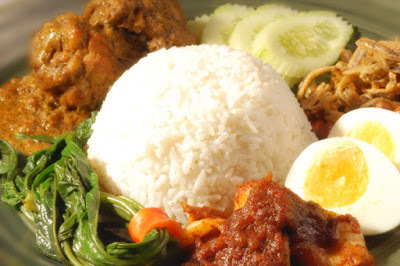 Nasi Lemak is truly a national heritage of Malaysia.